Middle-West and East Tennessee Clean Fuels are member-supported organizations that value the contributions of our members and work to provide them with the best services possible. We offer great benefits for a wide variety of fleets, industry partners and companies, including increased visibility, grant writing and funding opportunities, and fleet consultation. 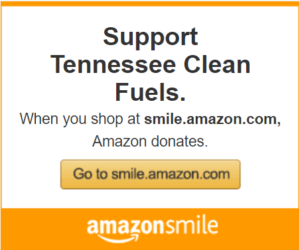 Individuals may also support Tennessee Clean Fuels by joining as members. Being a member of Tennessee Clean Fuels has many advantages. Collective Effort: Membership in the Coalition provides a forum for joint action in working towards the common, American goals of reducing air pollution and the importation of petroleum. Public Image: Membership in the Coalition identifies your business or agency as environmentally friendly and active in addressing environmental concerns. Financial Assistance: As a Clean Cities organization, we have access to grants specifically allocated for our purposes. These grants provide funding for the purchase of vehicles and the installation of refueling and recharging facilities. The Coalition provides assistance in developing project proposals and expertise in writing grant applications. Education: We provide up-to-date information on the latest developments in alternative fuel vehicles. We can also assist in determining what vehicles or fuels are most appropriate for a given application. Practical Experience: Coalition membership provides access to entities currently employing alternative fuel vehicles, providing the opportunity to learn from the experiences of others. Leveraging Resources: The development of partnerships among members allow for the leveraging of resources and the sharing of costs, such as developing shared fueling facilities or providing access to existing private facilities. Market Access: The broad range of memberships within the Coalition provides mutually beneficial business opportunities to members.